Some women were asking me what they should do with their time because they are lonely and get bored being at home all day long. They also wanted to know if it were okay to go to Women’s Bible Studies. Trey, a man who comments on my blog once in a while, wrote the following comment that is worthy of its own post. Thank you, Trey. First of all, have you asked your husbands if they are pleased with your efforts in the home? Have you asked them if there is anything additional that they would like to see done, done better, or done differently? Have you asked them if they have a preference on how you spend your free time? Have you expressed your concerns to them and asked them to help you come up with constructive ways to use that time? This should be your first step and then comply fully with their wishes. If they do not have a preference and leave it up to you, then ask yourself this: What did the Proverbs 31 woman do with her free time? How did she handle her loneliness? Trick question? Yea, she didn’t really have any free time to be lonely did she? Her time, that started early in the morning before the rest of her household and ended late at night, was spent doing constructive, beneficial and profitable WORK that benefited her household and brought good and honor to her husband. It also brought honor, praise, value and blessing upon herself. Whereas in decades and centuries past where the woman worked hard all day long at doing these types of beneficial household activities and ended up contributing so much more to the overall support of the household, nowadays, especially for the stay at home wife/mom, EVERYTHING is left to the husband to earn and provide for while the wives sit at home idle, suffering with loneliness and complaining that their husbands work too many hours. Is this really Gods plan for a Christian wife that she has so little to do in her home that her biggest problem in life is dealing with loneliness while her husband carries the load virtually all by himself and his reward is a nagging and complaining wife because he works too much? Just because you can go (drive) to the local grocery store and purchase an already put together lasagna in a box ready to slide into your electric oven to cook for your family, does not mean that is what you should be doing. You should purchase (or grow) the raw ingredients of a quality that is the best value (quality vs cost) and make as much of the food your family eats as possible from scratch. Women, you need to learn to cook and do it well and teach your daughters these skills also as part of their home school curriculum. Done right, this will take some time but it is time well spent. Do you have room for a vegetable garden in your back yard? Flower beds? Pots on your porch? Then as long as your husband is okay with it, grow as many of the vegetables that your family eats as you are able. Learn to can and put extras up if possible. Include these skills for your daughters in your home school curriculum. Time well spent. Let’s face it ladies, 90% (or more) of the activities for women at the church INCLUDING women’s bible studies are just social events and are really just a WASTE of time. Do you want to spend one to two hours a week cleaning the bathrooms or vacuuming the floors at your local church? This would be time well spent but going up there to socialize and gossip with other women? Not so much. I am not saying that you should NEVER attend a function like this to socialize or never have lunch with another Christian woman, etc… but time spent this way should be considered a luxury and kept to a reasonable minimum. The Bible has given you a model in Proverbs 31 of what a Godly, virtuous wife should be and that is the scripture you should be meditating on when you are trying to figure out how to spend the free time given to you by your husband and the Lord. But I have a question for you, Lori. Do you garden? I’ve been reading for a while, and haven’t heard you mention it… You’re in California and I’m much further up north, so was wondering about any successes you may have growing exotic, tropical species that I may not (alas, I do not have the space nor money for a greenhouse). I’m always trying to expand my knowledge about gardening even if I don’t have the opportunity to try and grow all the plants myself! Steff, I used to garden a lot when I was younger but due to having a very bad neck and the pain which comes from over exertion, I no longer can garden, unfortunately. However, we have many fruit trees in our yard so we get apples, oranges, lemons, figs, guavas, peaches, and I have aloe vera plants which come in handy for burns plus a basil bush that I use for soups. I bought my plants at a Garden place close to me since they knew what apple, guava, and other trees do well so close to the coast. It’s great to be able to go into the backyard and pick fresh fruit off of the trees! Ken grew up with guava trees so he wanted one and it has produced abundant fruit for us! You should have some higher raised beds built then! I also volunteer at a garden and have helped build beds that are higher for kids so they don’t have to lean so much (and step on the plant babies) and even higher (sometimes on legs) for adults with physical ailments that don’t allow them to bend so much. My favorite elderly Dominican gardener loves them! Growing citrus fruits sounds AMAZING! I dream of having an orangerie like the French kings once did. Do you have any good recipes to use your fruits? Thanks for this post! I needed the admonishment:) May I ever strive to be the woman that God wants and the wife my husband needs! We all need admonishment almost daily, Melinda, and this is why I read and meditate upon the Word almost every day. I need to be reminded who I am in Christ and my role as a believer in Him. I love His Word and the fact that it is living and active! That’s great, Mary! I am sure he appreciates this about you for your desire is to please him. Great post! Lori do you still have copies of your book for sale? If so can I get it directly from you and will you sign it? Thank you? You can buy them on Amazon or if you want me to sign it, go to the top of this blog where it says “books” and I will sign it! Thanks. I just now ordered it. Thank you! Well said. I, myself, was feeling “unsettled” this week and knew I needed to kick myself out of that slump. No amount of free time away from the home would actually do me good – so I started a sour dough starter and am warming up the incubator for the children to have fertile eggs to hatch for spring, along with cooking up the husband’s favorite meal for dinner from scractch. There is always something to do. And I agree about having it too easy for women now a days – we are spoiled and think we can just go out and buy the goods instead of making/creating/growing/sewing. I whole heartedly agree with this post. These are all good things to learn, Gigi, in case we need to go back to doing this if the economy were to crash or some other tragedy that would stop us from getting food so easily. One of our greatest assets is learning to provide for ourselves and going back to the garden as God originally created us to be in; to be able to grow our own food is so much healthier. Gigi, I clicked on your name and it took me to your website/blog. I browsed for a while and all I can say is… well, I am almost speechless! You don’t just agree with the post, you LIVE it! You are a living, breathing modern-day Proverbs 31 woman! Your husband and beautiful family are so blessed. You are a shining example to Christian women everywhere. May God rain His blessings down upon you. Oh wow, Trey, that is such a sweet comment. I am blessed by your words. Thank you for encouraging me…. I peeked at your blog, too, Gigi, and you have a beautiful family! How blessed you all are. Okay, I clicked on your name Gigi and I’m blown away! What a wonderful example of Biblical womanhood but I can’t find the link to follow your blog. I guess I can manually follow it? This is exactly what I did during the first two years we were married. We were living in a foreign country far from family and we didn’t know anyone. Though it was wonderful in many ways, it was also very challenging and my husband worked long hours. I learned a lot about practical things like how my husband wanted our home to be. I also learned about loneliness. It will not automatically be alleviated by being busy. My loneliness was a challenge to delve deeply into the Word, and it taught me the deep significance of Christian fellowship. I had taken that for granted while home in America with a great church home and lots of family and friends around. I also now know how to reach out to the new people in our church. I finally understand what it is like to be a stranger. Thanks for that experience, I am never bored or lonely at home now. There is always something to do, someone who needs help in my family (they come first!) or community. I rarely feel lonely and if I do, I know it is a nudge to get back into God’s word and to bury it deeply in my heart. Don’t be discouraged, ladies! Those feelings we get are a call back to Him. Let God fill your heart and mind and the ways of your household fill your time. I was a single working lady for a long time and there is nothing (by which I mean “no thing”) out there that will be more fulfilling than God, home and family. PS – if you are not a good seamstress, resale and thrift stores are an economical way to clothe yourself and your family. My teenage girls have good basic sewing/mending skills, but they can also breeze through a thrift store and put together outfits for less than half of what their friends spend! Great tips and truths, Tam. Thank you! I love your comment, Tam! “Those feelings we get are a call back to Him.” That is so true! I recently went through a tough time in my faith where I was not satisfied with anything! I wasn’t angry or bitter but burnt out with being home all the time I guess you could say. My time with the Lord became almost non-existent and that is exactly where my problem was. I was longing for Him and tried to fill my time with other things. I am embarrassed to admit that and honestly don’t know how I got to that point. However, after repenting and getting back in the Word every morning, there has been a drastic improvement in my days. I love being home, taking care of my daughter, the house, and serving my husband the best way I can. It’s certainly not always easy but He gives us strength. Nothing good and worth having or doing comes easy, Summer, but it is good. We have to continually remind ourselves that the JOY of the LORD is our strength. Period. I garden what I can (we live in the city so have a VERY small garden) but I buy fresh produce from the local farmers market, which I bottle. I’ve found doing this in the microwave makes it SO much easier – which means I do it more! Unfortunately, making clothes from scratch is more expensive than buying them, so sewing is not a good use of my husbands money. I mend our clothes when I can to save buying new ones and buy most of our clothes from op shops. After being forced to get a job when my first husband died, I truly appreciate being able to stay home now, even though my boys are getting older and don’t need me around so much. Anytime a mother can be home full time is better than no time at all, Marjorie. I am sure your family is blessed with you being there for them. Some days I am asked, “So don’t you get bored…?” Are you kidding me?! My reply is, “I’ve never been bored a day in my life!” I’m walking in godly, aged women’s footsteps. Talk about fulfilling! Talk about rewarding! Talk about fruitful! I am already beginning to reap what I sow. Take lessons from the ants. Do you ever see them sitting around socializing? Hello! Trey, excellent advice, indeed. I’m so grateful Lori posted this here. My prayer is that younger women who hunger and thirst after righteousness will be inspired by your timely counsel. I felt the same way about this post and I am sure Trey spent a long time writing it since it is so well written and thorough. I remember a phrase, “Only bored people get bored” so I have always refused myself to get bored! There is always something our hands can find to do if we just look around. That’s a great post, Katy, and I am sure you’ll be seeing it written or posted by me! Thank you. Sure!!! 🙂 It’s a great snippet from him! I saw you used it on instagram this evening! Wooo, yeah! I took a screen shot of that quote to crop and save in my iPhoto album Favorites! There’s always volunteering that needs to be done. Forgotten people in seniors homes, meals on wheels, thrift stores – the list is endless! This post is sooo inspirational, Lori. You have got our creative juices flowing! May I also mention that if a woman is looking for a way to fill her time in a meaningful way, she could home educate her children, or help with a holiday Bible Club at church. I find home educating the children very stimulating, and it is sowing into the future of our church and local community. I know that you have mentioned this before on your blog, but I would like to affirm the real blessings that flow from educating our children. I’m a long-time Christian woman who cares deeply for my family and who puts great effort into raising our children to be humble, honest, non-legalistic followers of Jesus. Praise God I have the brain He gave me AND a strong sense of service to my family. I’m aghast at women swallowing this whole just because it is presented from a man’s perspective. As if my husband can “instruct me to” work outside the home when MY God has given me MY life’s goal and heart to be home providing care to OUR children, instead of farming them out to another and becoming a wage earner to lighten the load on my husband. God told man he would toil with his hands to earn his way after the shared fiasco at the Garden of Eden, and it has been the standard practice for numerous generations. Women got pain in childbirth as punishment for Eve’s misdeed. God also said women would have a yearning for her husband. 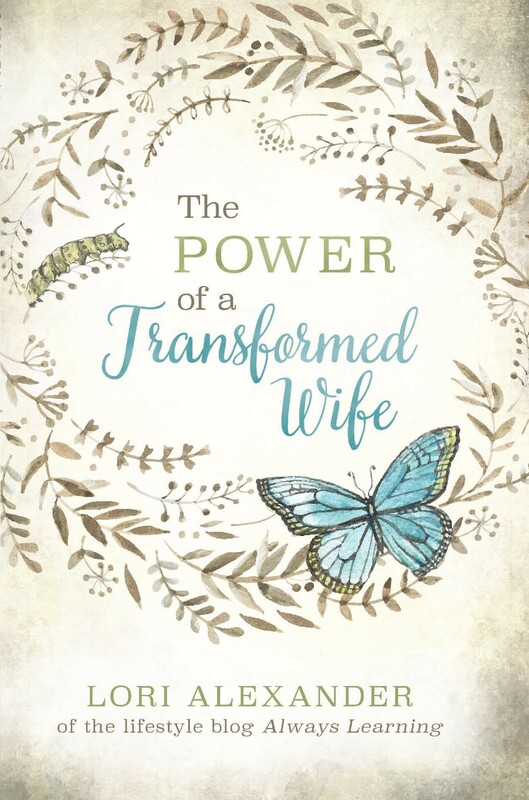 When the husband is legalistic and insensitive to a woman’s need to feel loved and appreciated it leads to emotional issues in her natural yearning to matter to her husband. It goes both ways, gentlemen. Decent women who feel valued in their homes will spare no effort in creating a retreat at home for their hard-working husbands to fulfill his wishes. I will not be a work horse to fulfill a twisted sense of a man’s expectations of what a woman’s duty is. Women have toiled alongside men, often in more thankless tasks inside the home, like scrubbing laundry by hand, cooking three meals which took HOURS each, soap-making/candle-making, darning socks, mending clothing, etc., as the husband got OUT of the home in the fresh air to hunt and fish and build his home. I recall a show many years ago that took families back to lifestyles of frontier families. The men were happy and felt a sense of purpose in their new frontier lifestyle. The women were exhausted and ragged and felt no sense of happiness in their lives. I’ll not go back to that and live without conveniences such as washer, dryer and dishwasher out of some demented sense of shunning modern help just because it makes life better for today’s housewife. Would that man like to saddle up his horse and wagon to get to work or drive there in a modern car? I have labored for 18 years as a wife and mother, and finally have a few hours to myself at home to feel like a PERSON again, as the children are at school, and not just be a wife and mother all day. I clean my house, prepare meals, take our children to school and activities AND do ALL our home improvements myself. I also nurture and prepare my children with skills for life. Tell me I’m not a proper Proverbs 31 wife if I want to spend the afternoon reading a good book or learning something online that appeals to me, without adding monetary value to our household. I do not watch TV but 2-3 hours a WEEK and that’s because my hard-working husband, who watches TV hours a day, ASKS me to watch with him. I will teach my daughter AND my SONS how to do these things so they will not have to rely upon others or spend money to hire these things done or to have to marry to make sure someone can get these things done. Knowledge is power for all people, and a husband who can so sweetly jump in just a tiny little bit every now and then makes a loving wife SO thankful and she feels appreciated and cared-for. It’s the lucky wife who has a husband who loves to cook and knows how to do dishes and vacuum and is caring enough to see when she would love a little boost from him! I’d like to go back to school to finish my degree–for MY own satisfaction–as my husband has a master’s degree in his field, but am putting my teenagers needs before myself-FOR NOW, not forever. I seek improvement for my own sake, yet, my life’s goal is to be home. By the way, I received the link to this from a friend, who has passed it around, and we (dedicated, Christian wives and mothers) have responded with a mixture of laughter and upset. We don’t tell our husbands how to do their jobs. I do what I can to make sure my husband gets a good hearty meal and ALL the quiet time alone he needs after a long day at work. Why should it be held against me that I do the same for myself when I have the daytime to do so after many exhausting, sleep-deprived years of caring for four newborns, toddlers and preschool-age children in succession. I finally have ME back and now I’m supposed to feel guilty or less-than the model Proverbs 31 wife because a male says I may need improvement if my day is not packed with activity. Legalism in Christianity has NO grace. I refuse to buy in to the legalistic view that has no room for grace and humanity and personality differences. Nope. I DON’T buy what he’s selling and I LOVE and honor my God and my family in humility and grace. God created women to work hard at home. “She looketh well to the ways of her household, and eateth not the bread of idleness” (Proverbs 31:27). Everything Trey can be biblically supported. Legalism is making rules up that aren’t in the Bible. He has not done this. This post is right on point. I have a desire to garden and to learn sewing. Will definitely be looking into those and whatever else I can to help my husband via his approval of course. I’m bookmarking this one. Agree with most but I don’t think all women who are lonely= not doing enough= not a good P31 woman. I have a wonderful, blessed marriage, am a new mom and I have been raised to always work around the home, always have a warm meal for my husband when he comes home from work, etc, etc.. And I do! With a 3 month old and a home to take care of, I am so very busy! But…I still get lonely. We have no family anywhere near us, my husband works a lot, and so yes I do get lonely. Yes I spend time with the Lord, but I still get lonely being a lone every day with my baby (not seeing any one else) and only spending a few hours in the evening with my husband when he comes home. So, no I do not really agree with the loneliness part. That’s what I was thinking…. I agree about not being idle at home, but every human being needs to be around other human beings. Of course a wife should choose godly friends who are a good influence, not gossips or constantly disrespectful to their husbands. But we need to be around other women to keep our sanity. 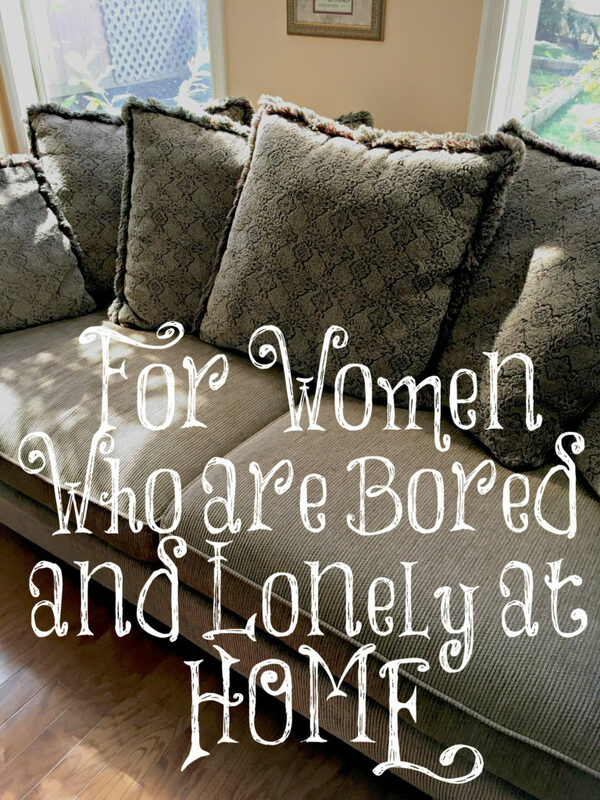 What helps me with this is being hospitable to other couples or families…as a Pastor’s wife there are always lonely people who I can cook a great meal for, eat with and thus decrease my own loneliness. I think the loneliness part, whether intentionally or not, comes off as a bit harsh. WOW! I have been married to my beloved for 38 years this April and I am yet to have a bored moment. I think if a wife is bored she is not doing something right. Sorry but I always have something on the go. True, that people waste a lot of time. It is so sad! Lord, teach us to number our days, and to have balance. We do not want to be of the letter, which kills; but of the Spirit, which gives life. However, we know that faith without works is dead. Lead us, Father. We need Thee every hour. Only being led by Your Holy Spirit can we achieve this balance. Such an encouraging post, filled with wisdom. I plan to start a garden this Spring, I also have a sewing machine I would love to pull out again and teach my daughters basic sewing skills. So grateful that I get to train my oldest daughter in the Kitchen and the home! I found this post very freeing. I’m always wondering if I’m missing the mark by not working. I just loved this. Going to try and save to my phone. I need to read this often. Thank you both, for writing this and posting it for us. I’m blessed to have read it.